Before opening the discussion, I would like to provide a brief overview of the situation in the Russian economy. Overall, it is steady. 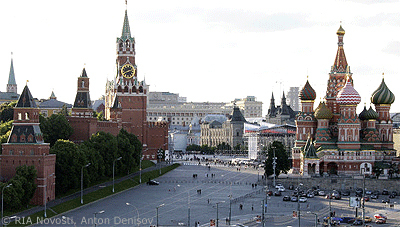 Russia’s GDP is estimated to have increased by 1.5 percent during the first three quarters of this year. The implementation of plans for the development of Russia’s economic potential will certainly require large government investment; you have probably heard the figures. As a reminder, in 2019-2021, the plan is to allocate 2.3 trillion rubles from the federal budget for these purposes. First of all, thank you very much for coming. Indeed, this is our 10th anniversary forum. If I may, I will take just two minutes of the audience’s and your time to briefly remind everyone how it all started 10 years ago. Of course, even in my wildest dreams I never thought that 10 years would pass and every year Mr Putin, regardless of the weather, political climate and his busy schedule, would come to our conference. This made the forum what it is now. I believe it is our country’s leading financial forum, and, of course, you come here primarily to be able to listen to and talk with Mr Putin. First,I don’t think people come here to see me or hear me speak, I am not the biggest attraction in Moscow. They have things to do and to discuss among themselves, and it is very important to talk with their colleagues from the Government, from the Central Bank and to get a feel for what makes Russia tick. We are not seeking to walk away from the dollar – rather, the dollar is walking away from us. (Laughter, applause.) Those who take these decisions are not just shooting themselves in the foot but a bit higher, because this instability in making payments in dollars is causing quite a few economies to look for alternative reserve currencies and create settlement systems independent of the dollar. As a historian, you know that you need to study history to know it, just read it. There is nothing difficult in that. And when you do this, you will understand the motives of your partners. Overall, I believe that President Trump is favourably disposed. We must find the points of contact I have mentioned, but this depends on the US administration, not me. You need internal consensus in the United States, which would motivate the US elite to work with its partners…. Why the hurry? I am not going anywhere yet. But I can tell you the following: Russia is already feeling confident, self-sufficient but it is also open to cooperation with all our partners, including the United States. I hope that this realisation will eventually come to them and the need to solve our common problems and matters will encourage us to work together efficiently. Jacob Grapengiesser (retranslated):Jacob Grapengiesser from East Capital. I want to ask you about the relationship with Ukraine. First of all, maybe a bit on the incident in the Kerch Strait, what really happened there and why those vessels were kind of taken into Russian custody. Secondly, there are elections in Ukraine next year. Do you think there will be anti-Russian propaganda or campaigning from the Ukrainian politicians to score some points in the elections possibly? And will that lead to more tension with Russia? Thirdly, how could you normalize the relationship with Ukraine in the long term? As concerns the incident in the Black Sea, it was obviously a provocation organised by the current officials – I think, by the incumbent president, ahead of the presidential election in Ukraine to be held next March.